OUTSOURCING WEB SOLUTION has an expert team of animation and graphic engineers to provide satisfactory multimedia solutions. We offer qualified service of multimedia solution including corporate film along with PPT presentation and PDF presentation. Corporate film making is a long process rather says one of the long lasting, cost effective tools for marketing and promotion. It is the clever sum of the audio, video, music and narration. It is an ideal integration of processes like concept development, script writing, filming, editing, graphics and animations, packaging and finally delivering to the client. It presents the history of the company, vision, products and services, human resources, profile, current ventures, processes, partners, clients, accomplishments and future prospects with very entertaining and impressive audio visual format. It put forward the image and strategy of the company. Audio-visual communication is very efficient way to convey the message with a very energetic and influential approach. 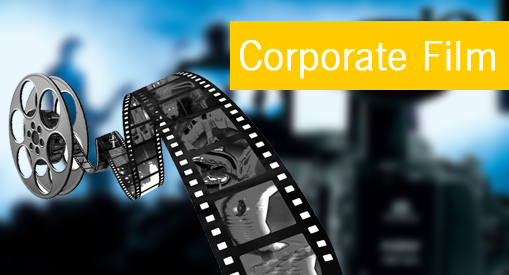 Corporate film is one of the most effective ways of communication. It can efficiently and impressively communicate with many persons at the same time. It displays the mechanism, products, services, goals and other all necessary information with shortest and easiest manner. Corporate film itself reflects the identity of corporate. Requirement of internal and external communication of company is targeted well in corporate film. Core competencies and all other aspects of brand development are focused in corporate film. Corporate film is available in various formats including DVD, CD-ROM, streaming video for the website or a regular VHS video or a corporate film. To make your film more effective, our video and photography specialists make footage and stills collection. Brilliant integration of these images and simulations and effects are done by our animation and graphic engineers after discussing with clients. Our experienced editing professionals make complete output of the film by making appropriate combination of their collection. Smartly executed film makes surely attract the glued audience and display the purpose with effective communication.